If you want to sell your home, it may be time to start remodeling it. Tuscan-style decor, popular a decade ago, is out. But mid-century modern, inspired by 'Madmen,' is in. They bought back in the mid-2000's, when "Under the Tuscan Sun," a romance about an American woman who buys a villa in rural Italy, inspired a wave of rustic but luxurious home decor featuring warm, earth-toned colors. Now with prices hitting new records, many homeowners who bought a decade ago want to cash in and move on to the next phase of their lives, whether that's stepping up to a bigger home or downsizing after the kids have left. However, the faux-Tuscan-style décor that was all the rage a decade ago -- not to mention the granite countertops, marble fireplace mantels, fancy millwork, and stainless steel appliances that were ubiquitous then -- all but scream 2005 to a younger generation of buyers, brokers say. The millennial buyers who are reshaping the real estate market are taking their home décor cues from "Madmen," not "Under the Tuscan Sun," seeking a sleeker, more minimalist mid-century modern look, says Kerrie Kelly, Zillow's design expert and the creative director of Kerrie Kelly Design Lab. If your home looks like a relic of the bubble years, there's no need to panic or rip out your kitchen. The good news is, there are some simple and relatively easy fixes you can make to update your interior and make it more appealing to today's buyers, brokers say. "I think people are drawn to the mid-century modern style," Kelly says. "It has that simplified look and clean lines. It doesn't have tchotchkes all over the place -- it's light and bright." There's some debate over whether stainless steel appliances are truly out now, as some may prove to be a bit more timeless. But buyers in their 30's and 40's don't want fancy crown molding and millwork, granite countertops and traditional marble-mantled fireplaces. Also on the ditch list are heavy draperies and wallpaper, which, even if it is making a modest comeback, most buyers will want to pick on their own, says Elaine Bannigan, broker owner of Pinnacle Residential Properties Wellesley, Mass. 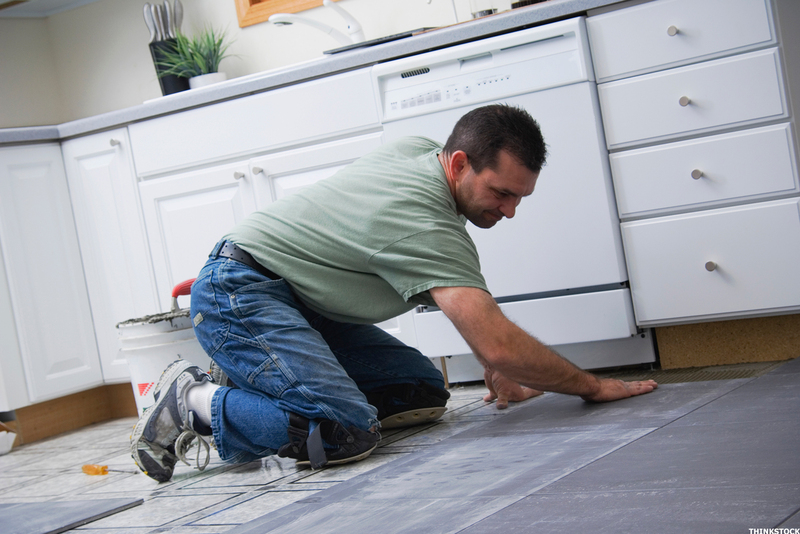 Noticeable grout lines in the bathroom are also a no, no -- another tip-off that your house was not recently renovated. Jacuzzis are out, stand-alone tubs are in. In some of Boston's priciest suburbs, homes that have not been updated are fetching roughly 10% less. She points to one home in tony Wellesley that hadn't been redecorated in a decade and recently fetched just over $3 million. Back in 2004, it sold for more than $3.5 million. "If buyers walk into a house built in 2007 with all that fancy kitchen work, lavish marble, granite countertops, they look at that and say we really have to gut that kitchen," Bannigan says. The sleek, uncluttered look, with easy-to-maintain materials like quartz instead of granite or marble, is appealing to younger buyers who aren't interested in spending the few hours they aren't working or chasing after children trying to keep up a house. "Some sellers are realizing they do have to adapt," says Inger Stringfellow, PSCS, and expert on mid-century modern properties at William Pitt Sotheby's International Realty in New Canaan, Conn. "The millennials don't want to do any work. These are families with two parents that work. They don't have the time or energy and would prefer to be able to move right in." Still, there are some relatively inexpensive cosmetic changes sellers can make to give their homes a more contemporary look, brokers say. Decluttering is a good place to start, notes Stringfellow, stripping down the interior to the bare essentials in terms of furniture. That means taking down wallpaper, drapery and "neutralizing cabinets" by painting them white. It may be worth hiring a staging company to do the work, she says. "Granite has sort of seen its day," Stringfellow notes. Giving your home a more contemporary edge will also likely mean some painful decisions, Bannigan warns. You may love that original Shaker sideboard, but lots of heavy wood furniture can also be a turnoff for younger buyers. Today's buyers aren't interested in all that "brown stuff," Bannigan says. "It's a cold reckoning for people who paid a lot of money for beautiful homes." The same goes for natural wood floors and kitchen cabinets, brokers say. "Homeowners are leaning more towards a bright and airy kitchen (with whites and grays vs. the dark woods), and countertop materials like quartz versus the more porous stone like granite and marble requiring more maintenance with sealing," says Neda Vander Stoep, a real estate agent in Coldwell Banker Residential Brokerage's office in Boston's Back Bay. Still, there's hope, even if you are grappling with what to do with an elaborately decorated, Tuscan-style property. Zillow's Kelly notes the process of transforming a Tuscan-style home to one with a more modern look involves returning it to a simpler, more natural state, eliminating the elaborate frills and replacing all those earthy colors with navy blue and matte black. "We have deTuscanized a lot of homes here in California," Kelly says. "There were so many fake elements it has to be uncomfortable to live in a Tuscan-style house. You bring it back to its natural state."